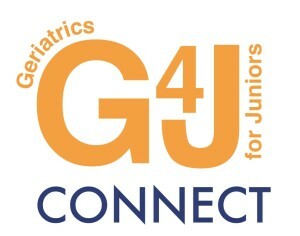 ‘G4J Connect’ is the name for regional seminars and teaching sessions that are based on the ‘Geriatrics for Juniors’ ethos. Alongside the annual ‘G4J’ conference, these events will provide educational activities which are ultimately designed to improve the standard of care for older patients. We are working with AEME members around the UK to create events that will provide advice on clinical practice, information on the specialty, and help to overcome some of your med reg fears! Only requiring a few hours of your time, and usually organised in an evening or a half-day weekend session, they will be a valuable resource for any junior doctor who cares for older patients. Like what you hear at the event? Come along to our national Geriatrics for Juniors Conference for more tips on improving your clinical practice, information on the array of sub-specialities in Geriatrics, and plenty of career advice thrown in. If you have a question about an upcoming G4J Connect event, or if you would like to host anevent in your local area, please contact us. To deliver innovative presentations, delivered with an enthusiasm for the subject that can inspire a future generation of doctors. To promote the recruitment of junior doctors into Geriatrics by highlighting the positives associated with a career in the specialty, whilst challenging the stereotypes associated with it. We are grateful for the support for G4J Connect from the British Geriatrics Society Cardiovascular section (BGSCV). They have provided a grant to AEME to help us fund the creation of G4J Connect events. With their support these events should always be free for people interested in geriatrics to attend. You can find out more about the BGSCV at bgscv.org.uk.